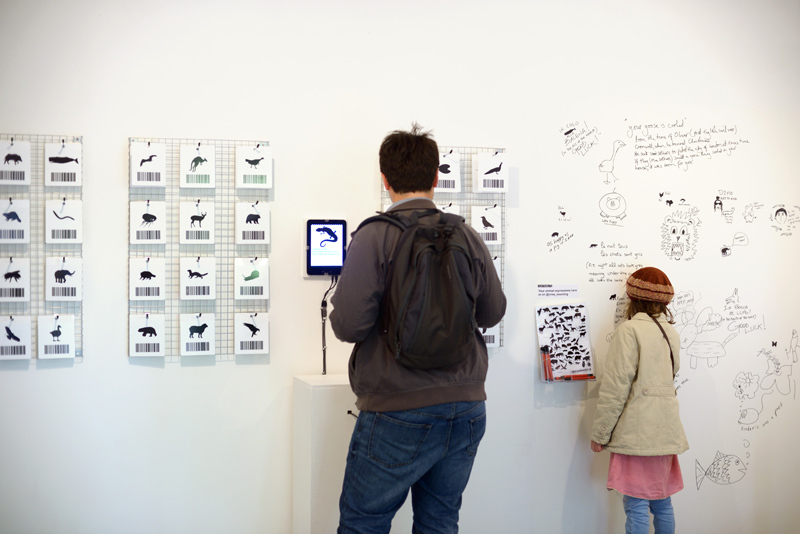 A hands-on rendition of the net.art commission Crow_Sourcing opened last week in London’s Furtherfield Gallery. It invites visitors to the World Wild Web show to take up a pen and contribute to a growing collection of animal idioms. For those who are not near London, the underlying project is net.art, so you can participate online. Crow_Sourcing received a 2012 net.art commission from New Radio and Performing Arts, with funding from the Jerome Foundation.